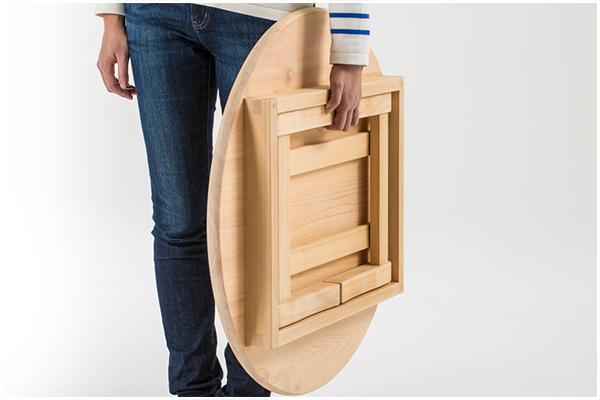 A four legged round table made out of Japanese cypress by an artisan craftsman to be enjoyed for life. 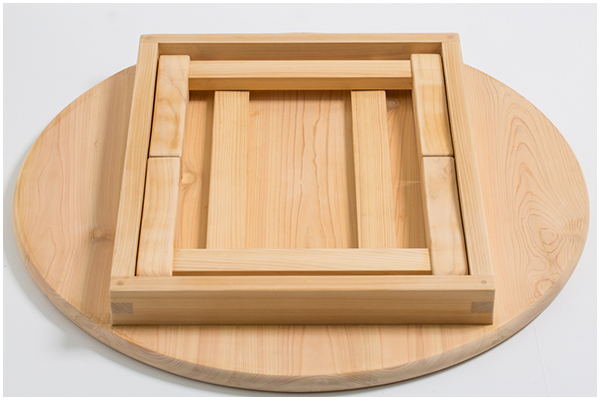 Chabudai uses quality Japanese cypress which strengthens its durability over time. 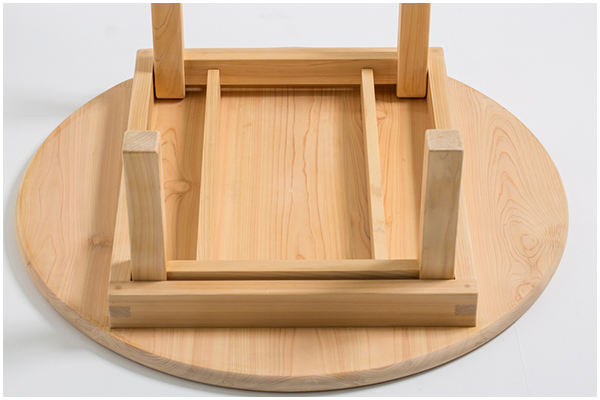 You can easily stand the table by flipping the table over and lifting the crosspiece with its light weight and foldable legs, and round top enabling to role sideways, makes it convenient to put away when not in use or change places. Each form may differ slightly as every Chabu dai products is handmade. 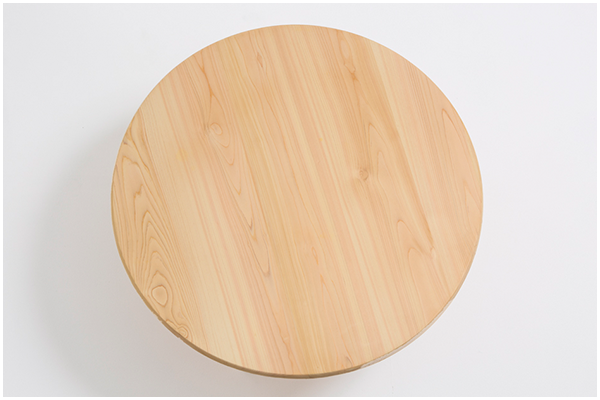 As natural material is used the color and reveal of the wood texture may be different from the picture.